Knowledge Base in the VI Service Desk - VIS, Inc. The VI Service Desk provides a dynamic Knowledge Base that automatically displays knowledge documents that are associated with a ticket’s categorization. 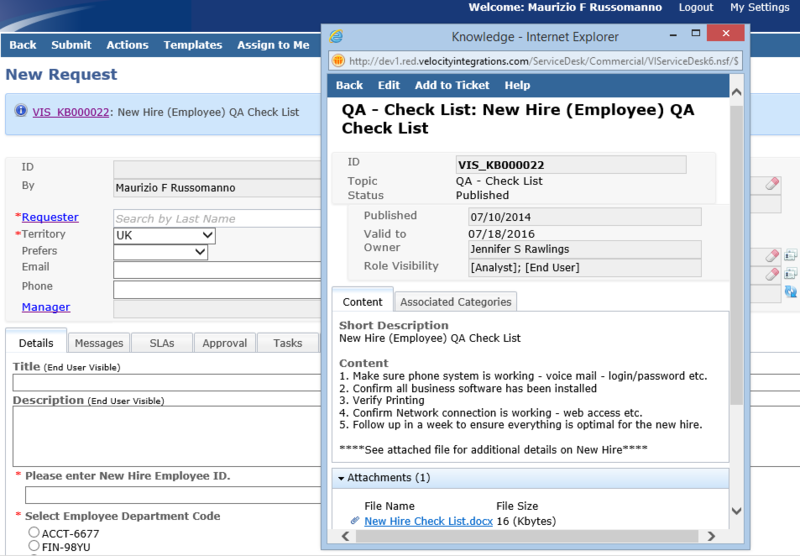 In the screen shot below when New Hire category is selected on a Request ticket, an associated knowledge document is displayed at the top of the ticket in the notification area. The knowledge document can be quickly reviewed and imported into the ticket. 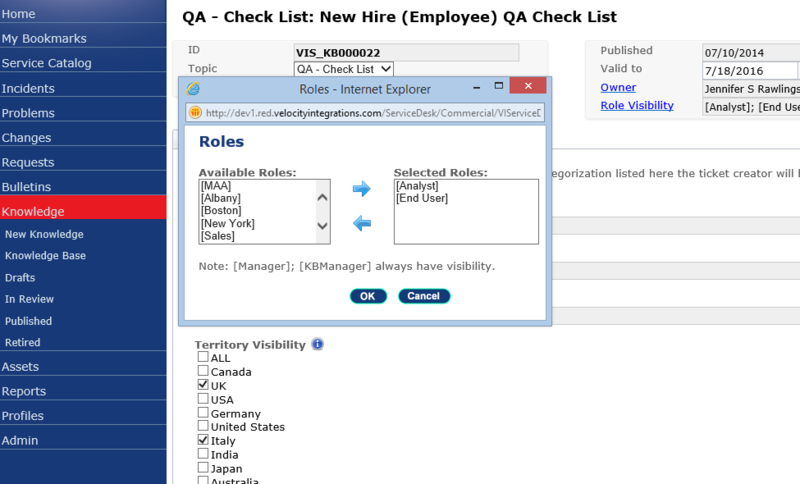 Knowledge base documents visibility can be managed by Roles, Territory, or a combination of both. This helps ensure that knowledge is being provided to the right people within the organization.